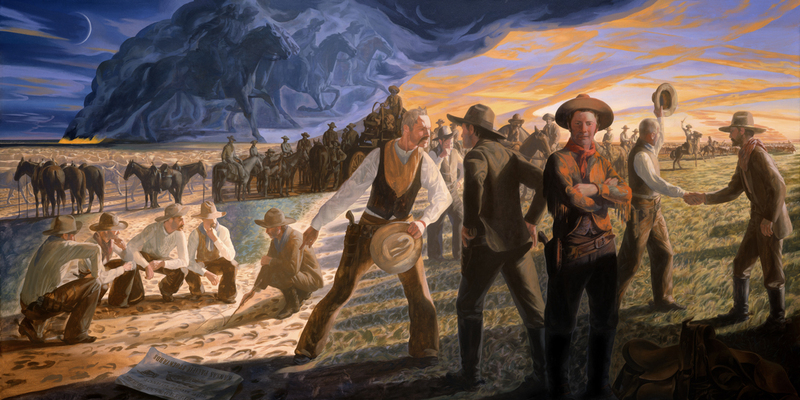 In addition to a variety of paintings from regional artists, two murals by Bryan Haynes, commissioned by Fidelity Bank, adorn the walls of the restored Wichita Carnegie Library—The Four Horsemen of Wichita and The Treaty of the Little Arkansas. These works complement the building’s cultural heritage as it originally housed murals depicting significant events in Wichita’s history. One such mural was Arthur Sinclair Covey’s Spirit of Kansas, which now resides in the Southwest National Bank downtown office lobby. 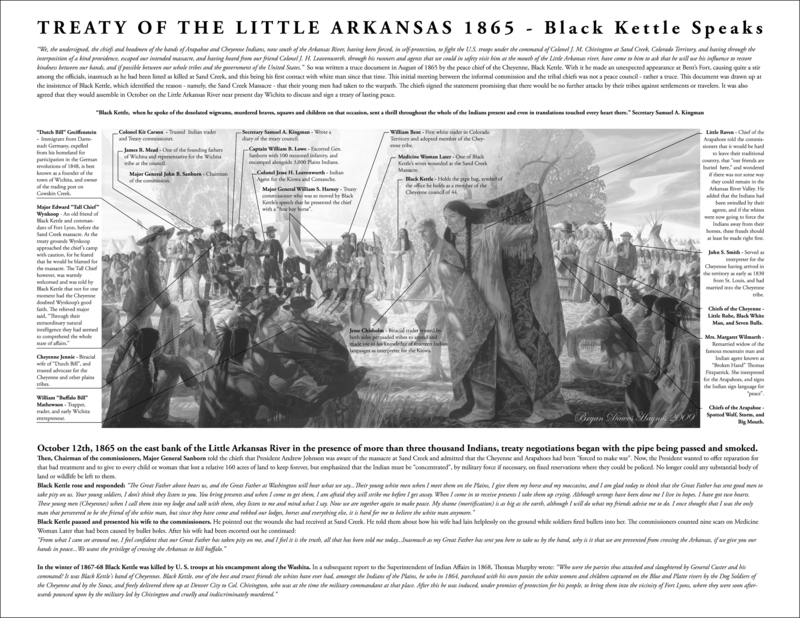 The Treaty of the Little Arkansas depicts the meeting in October 1865 between commissioners of the United States and all of the major Plains Indians tribes at which a several treaties were signed. Read the legend. 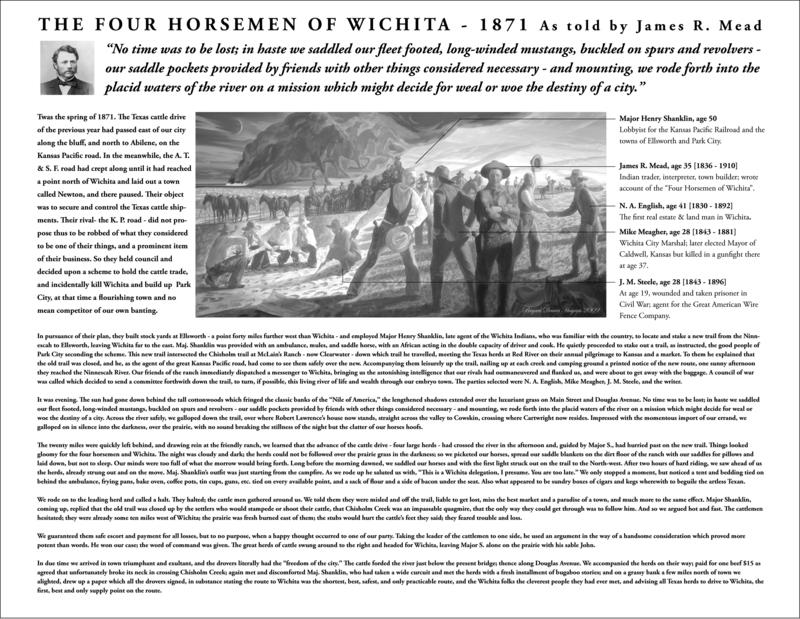 The Four Horsemen of Wichita depicts several scenes concerned with the efforts of four men to keep Wichita on the Chisholm Trail and in a position to prosper. Read the legend.